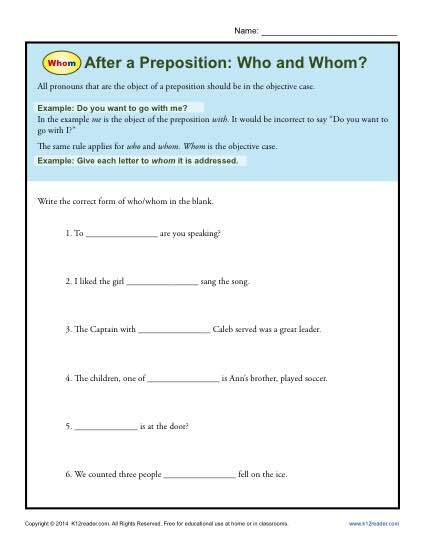 After a Preposition: Who and Whom? Is it to whom or to who? Those prepositions can be pesky with that particular pronoun. Here’s some great practice for using who and whom, especially as the object of a preposition. Use it either as a practice for Common Core Standards for 4th grade Language or for other students as necessary.